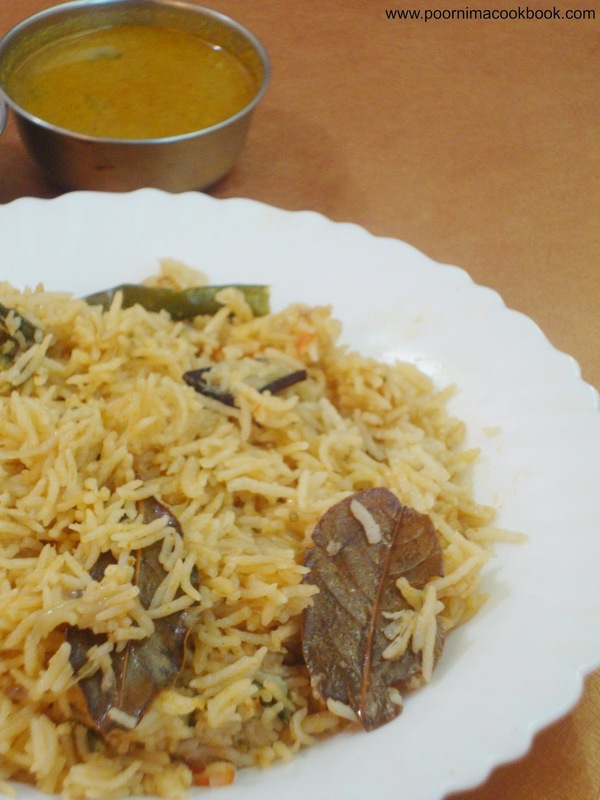 Brinji is a delicious and easy to prepare South Indian style flavoured rice using common pantry ingredients; a perfect dish for parties! 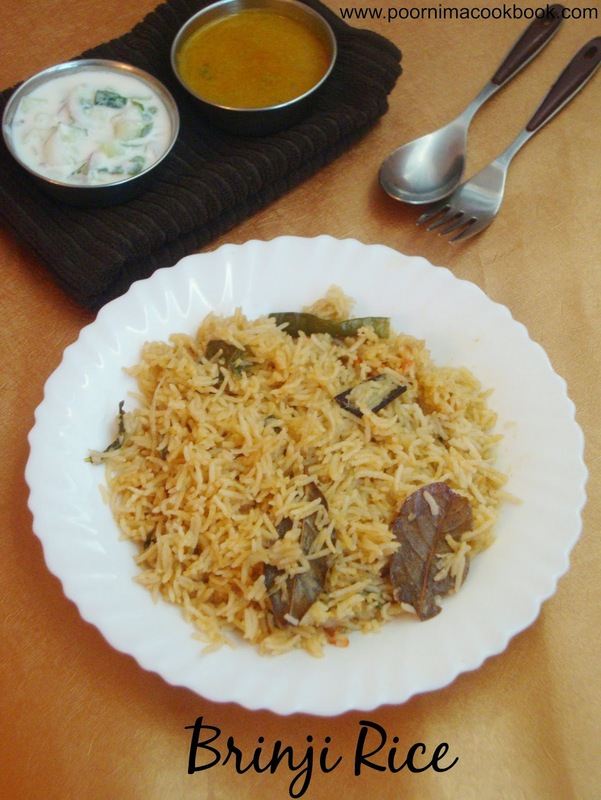 I came to know about this recipe after I tasted this dish in my friend Kalai's house. Bay leaf is known as Brinji in Tamil. I think this is how dish is named after! Remember to read the notes and variations below for a perfect preparation! Grind garlic, ginger and fennel seeds into coarse paste without adding water; keep aside. In a pressure cooker, add oil and ghee; after it becomes hot, add bay leaf and season it with cinnamon, cloves, cardamom and cashew nuts. Once it crackles; add grounded paste and sauté well for a minute. After that add onions and green chillies. Stir well till it becomes translucent. Add tomatoes, salt and red chilli powder. Sauté well till the tomatoes become soft. 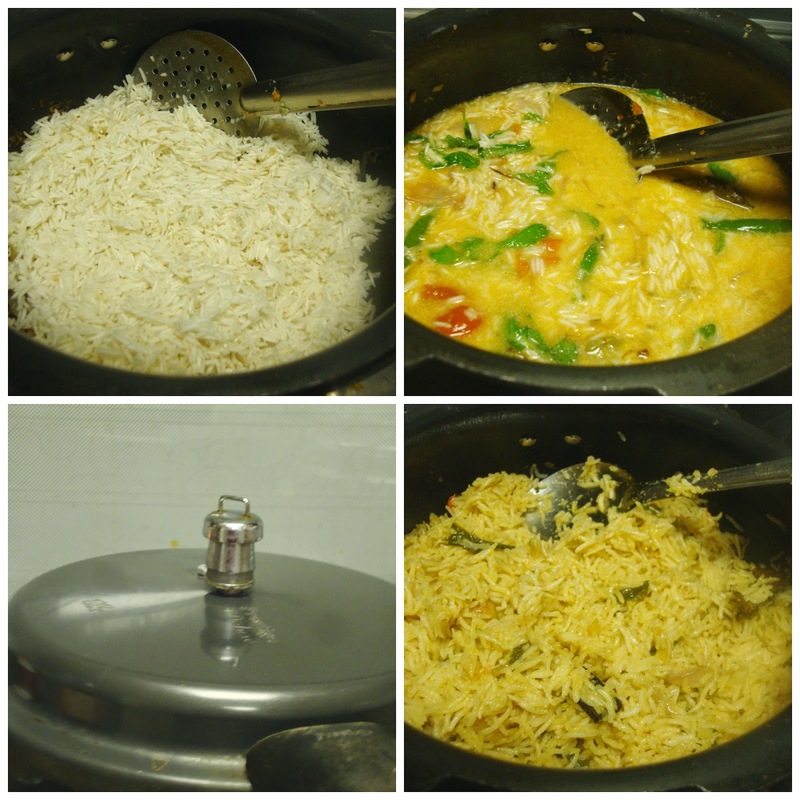 Then add drained basmati rice. Give a quick mix and add one cup of thick coconut milk along with a cup of water. When the water starts boiling, add mint leaves. Mix well and check for salt. Serve hot with any veg or non veg gravy along with raita. Omit ginger; add at least 10 crushed garlic and a tsp crushed fennel. Continue the recipe. You can also omit red chilli powder and use only green chillies for spice. 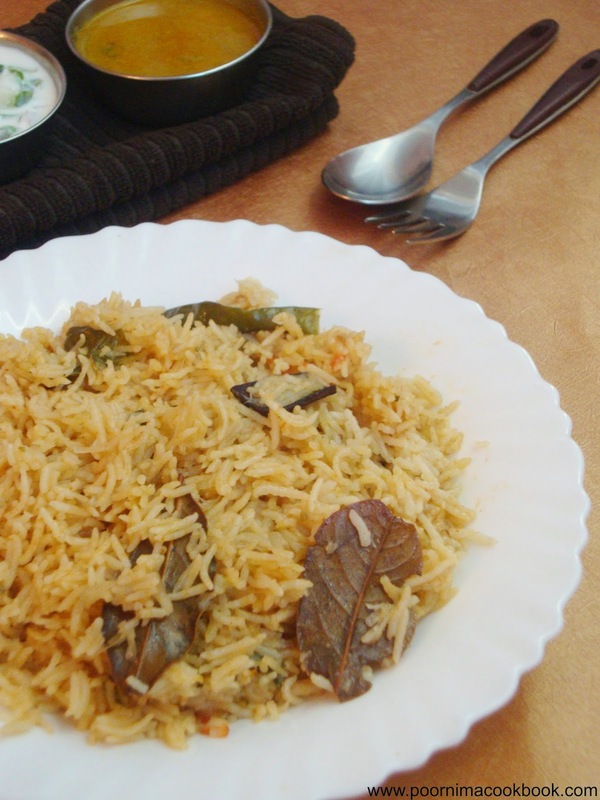 Instead of coconut milk; you can cook this pulao by using only plain water. That is a nice dish to go with a spicy side... got to try this soon! Ennaku oru plate brinji parcel! Looks very tempting Poornima!